The U.S. Drug Enforcement Administration (DEA) investigates and prosecutes individuals and organizations suspected of prescription drug fraud, pharmacy fraud, and illegal drug offenses. If you are being investigated by the DEA, you need an experienced and effective legal defense team on your side. Whether you are suspected of engaging in illegal drug trafficking or compound pharmacy fraud, facing an investigation by the U.S. Drug Enforcement Administration (DEA) is an extremely serious matter. Without experienced legal representation, there is a strong chance that your investigation will lead to criminal charges – and with them the possibility of spending a significant amount of time in federal prison. For pharmacies and healthcare providers, even if you don’t face criminal charges, a civil enforcement action could mean crippling fines and penalties, plus other consequences that could effectively bring your business to an end. You need to protect yourself, and that starts with putting an experienced legal team on your side. In enforcing the nation’s drug laws, the DEA regularly coordinates with other federal authorities, including the Federal Bureau of Investigation (FBI), the Department of Health and Human Services (HHS), and the elite Health Care Fraud Prevention & Enforcement Action Team (HEAT). The more you know, the better able you will be to make smart decisions about protecting yourself during your DEA investigation. The federal drug laws and regulations are complicated, and you can easily find yourself in a situation where the DEA suspects you of having some level of involvement in a drug conspiracy or federal violation. While you don’t need (nor do you have the time) to educate yourself on the intricacies of the federal government’s drug enforcement authority, you can – and should – learn about what you can do to protect yourself while being investigated by the DEA. What Happens in a Federal Criminal Case? To benefit from our Emergency Defense Package and speak with our experienced legal team about your DEA investigation in confidence, please contact us immediately. When it comes to communicating directly with the DEA, you do not want to do so without legal representation. DEA investigators are highly trained specialists who know how to solicit the information they need in order to help prosecutors press charges and secure convictions at trial. If the DEA comes knocking at your door, it is crucial that you exercise your right to seek legal advice and representation. Not only should you avoid communicating with DEA agents in the absence of your attorneys, but you should also avoid discussing the investigation with anyone else while it remains pending. Remember, DEA agents are trained to extract the information that they need to perform their duties, and they regularly make contact with friends, family members, neighbors, co-workers, and business partners to find out if they have received information that is pertinent to the investigation. Many people are surprised to learn that they don’t have to share information with the DEA just because an agent asks for it. While there are ways that the DEA can compel you to disclose information (subject to the exercise of your Constitutional rights), far too often, targets of DEA investigations voluntarily share information that they are well within their rights to withhold. However, if you receive a subpoena, you need to make sure that you respond appropriately. 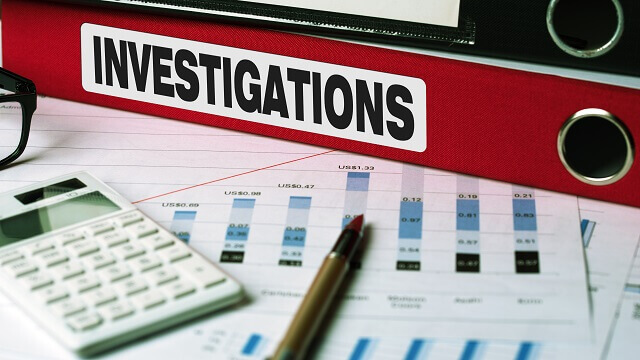 Improperly withholding information, falsifying records, or attempting to mislead DEA investigators can have drastic implications for the outcome of your case. In order to avoid these mistakes, the best thing that you can do is to seek experienced legal representation right away. Don’t wait until you are in a tough situation, and certainly don’t wait until the federal government files civil or criminal charges. The longer you wait to build your defense, the more of a head start the DEA will have in seeking to impose financial penalties and/or put you behind bars. Government Experience. Do the firm’s attorneys have experience inside the government? In order to establish contact, open a dialogue, and anticipate the DEA’s next move, your attorneys should have significant prior experience representing the federal government. Subject-Matter Knowledge. To build the strongest possible defense, you don’t just want a team of experienced defense attorneys. What you really want is a team of attorneys who are experienced in successfully defending clients in DEA investigations. When you need to take action immediately, you can’t afford to waste time while your legal team gets up to speed on the issues involved in your case. A Team Approach. Building and executing a comprehensive defense strategy requires the knowledge, effort, and insights of a team of experienced attorneys. At Oberheiden, P.C., we combine our attorneys’ resources in order to put the full weight of our firms’ experience on each client’s side. Open to Answering Your Questions. When you meet with an attorney (or team of attorneys) about your DEA investigation, you should be able to expect real answers to your most pressing questions. What is the firm’s success rate in avoiding criminal charges? What should you be doing to aid in your defense? What can you reasonably expect in terms of the outcome of the DEA’s investigation? If an attorney cannot answer these questions to your satisfaction, you should consider looking elsewhere for trustworthy legal representation. Free Case Evaluation. Does the firm offer free case evaluations? Some firms charge consultation fees in order to try to “lock in” new clients. At Oberheiden, P.C., we believe that you should be able to make an informed decision about your legal representation without the added pressure of having already spent hundreds of dollars to find out if a firm is right for you. While you need to act quickly, you do not want to rush into your choice of legal representation. At Oberheiden, P.C., we encourage you to meet with our legal team in confidence (and free of charge) to find out more about how we can help protect your legal rights. If you are being investigated by the DEA, contact the Oberheiden, P.C. today for a free, confidential case review with our team of former federal prosecutors and experienced defense lawyers. To schedule an appointment as soon as possible, call (800) 701-7249 or contact us online today.